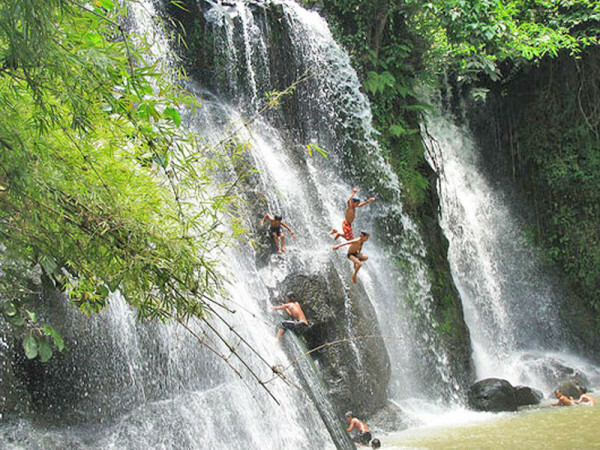 Cha Ong waterfall is in the forest in Cha Ong village, O’Chum commune, about 2 kilometers west of Ban Loung provincial town. 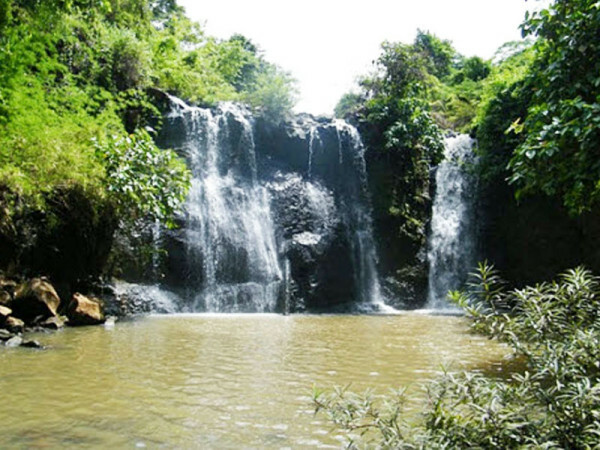 It was given its name by the Kreung hill tribe living nearby.The waterfall gets its water from Phnom Eysei Patamak or Phnom Svay near Ban Loung provincial town. From its upper level, the water flows from a small canal before dropping 25 meters to a lower level. 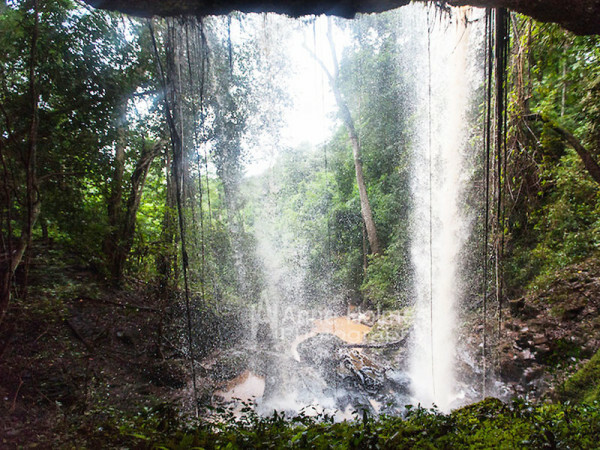 A mountain slop leads visitors to the bottom of the waterfall, where they can sit inside a cave and enjoy the view. From the waterfall the water flows into Sre Pork River in Lum Phat district. 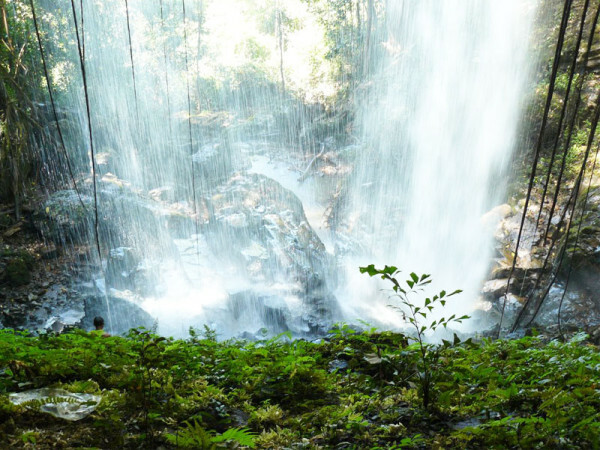 The waterfall was given its name by the Kreung ethnic minority in Ka Chanh village.There are a number of scenic rubber plantations along the canal leading to the waterfall. 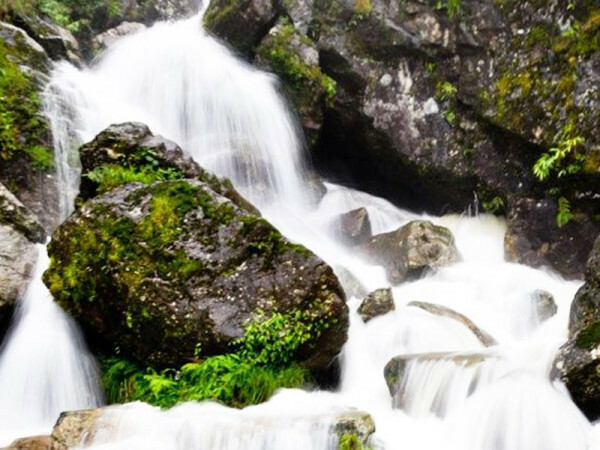 The base of the waterfall, which is a lovely place for picnic, can be reached by climbing down are also available.We call the waterfall ‘Cha Ong’ because we follow the ethnic minority of Kreung at Cha Ong village closed to the waterfall. 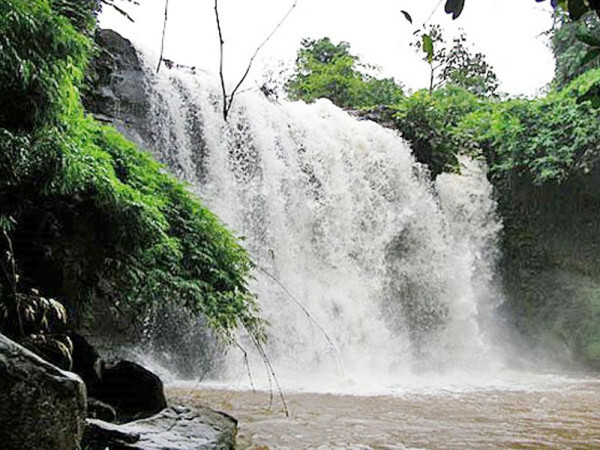 The source of this waterfall is from the mountain named ‘Ey sey Pak Ta Mak’ or called ‘Phnom Svay’ closed to the Ban Lung town. The situation from above is a small canal which continuously flows through the broken rocks, then to the stream below in 25-kilometer height. To view the waterfall, we should go down to the stream below where we have seen a big rocky cave with plain roof. At the bottom of the stream, there are many big rocks used as the seats for viewing the great and interesting water falling down from the mountaintop.